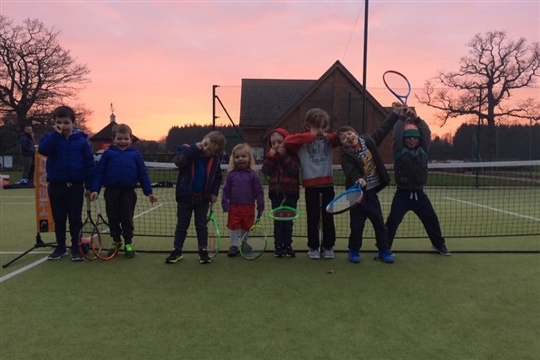 We have a thriving junior section with over 175 children aged from 3 to 17 years old, supported by our 6 professional coaches Stuart Davoile, Jon Baber, Collen Mhlanga, Harry Malone and Jamie Hannan. Training sessions are run most nights of the week for all ages and abilities. All are encouraged to enter both internal and external competitions to put into practice what they have learned! Boys and girls compete at mini Red (8 & under), mini Orange (9 & under), mini Green (10 & under) and yellow ball U12 – Year 7 & below / U15 – Years 8, 9 & 10 / U18 – Years 11, 12 & 13. For more details click on date which is linked to LTA website for online booking. Junior non-members from other clubs are allowed to use the courts for pre-arranged matches against BBCTC juniors in leagues, tournaments, inter-club ladder matches etc.